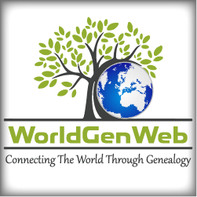 This is a mailing list for anyone with a genealogical or historical interest in Austria including the German speaking lands annexed to Italy at the end of World War I. The mailing list supplements the message boards. When researching, you should use both. You must be a subscriber to post to the list. See frequent mistakes when using the list. Subscribe To subscribe in the normal mode, click here to send a message to AUSTRIA-L-request@rootsweb.com. Type ONLY the word subscribe in the text area. Remove any trailing signature file. Subject line not required. To subscribe in the digest mode (posts are batched together and then sent), click here to send a message to AUSTRIA-D-request@rootsweb.com. Unsubscribe To unsubscribe from the normal mode, click here to send a message to AUSTRIA-L-request@rootsweb.com. Type ONLY the word unsubscribe in the text area. Remove any trailing signature file. Subject line not required. To unsubscribe from the digest mode, click here to send a message to AUSTRIA-D-request@rootsweb.com. Post To post a message to the Austria Mailing List, please click here. Please see: "Hints and Guidelines for Posting" below. Information For further information about this Rootsweb Mailing Lists, please click here. Search To search or to view the archives, click here. Make sure the Subject: line is meaningful. A subject such as Family Research is not very meaningful. If you are a Digest subscriber, please remember to edit the subject line if you use [Reply] to send an answer. Austria-L is for genealogy in Austria -- and hundreds of subscribers want it to stay that way. No off topic postings about virus scares, current events, etc. Always be courteous and polite. Do not send personal, copyrighted or confidential data via the mailing list. The majority of postings are in English -- but there are bound to be some researchers in Austria that prefer to use their native German language. Please try to use CAPS for all surnames. All postings are automatically archived. If you ever miss some messages, you can look them up in the Archive. Please always try to do your homework before posting a query. If you have problems that you cannot resolve in spite of these guidelines, please contact the listowner directly.